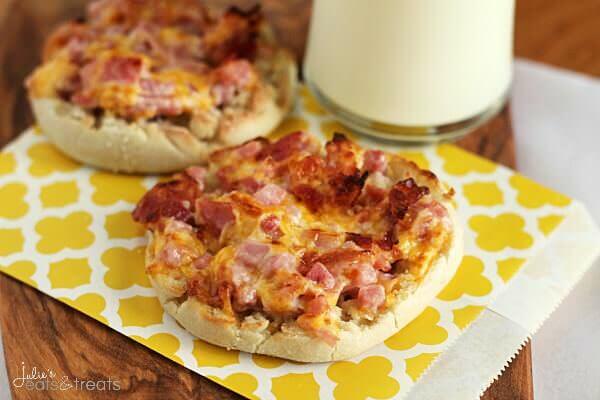 Cheesy Ham & Bacon English Muffins ~ Super Easy Breakfast for Mornings on the Go! English Muffin Loaded with Cheese, Ham & Bacon! It’s that time of year that the kids head back to school and I think there are a lot of mixed feelings going on between both kids and parents. I remember as a child how it was so excited to go pick out the new back pack, stuff it full of all your new school supplies that were crisp and new. Let alone the day that you found out which teacher or class schedule you had for the next year. The phone lines were buzzing that day that’s for sure. Now it’s more like the fingers are flying on the phones I’m sure! I think that comment officially makes me old. There was enthusiasm in the air as you went school shopping and picked out that new outfit for the first day decked out with crisp, clean new shoes. Then obviously on the first day of school with you sporting that new back pack and outfit Mom had to take then annual first day of school picture. I’m assuming that everyone’s Mom did this right? It’s so much fun to look at that picture and compare it to the the previous year’s picture or the last day of school picture. It’s amazing how kids grow up so fast! And then the first week was over and the newness had worn off and you begin to think I might take the summer time leisure back because it wasn’t as boring as I though it was. Now, the days were full of sports, activities and homework and I think I began to count down the days of school left promptly at that point. Never happy were we? As parents, I’m assuming, you look forward to the end of school so there is no strict schedule, homework and bustling around to cart kids to school, activities and sports. Summer comes and there are lazy days and then there’s the “Mom I’m bored!” That’s the statement that makes you long for school to start after the tenth time in one day. 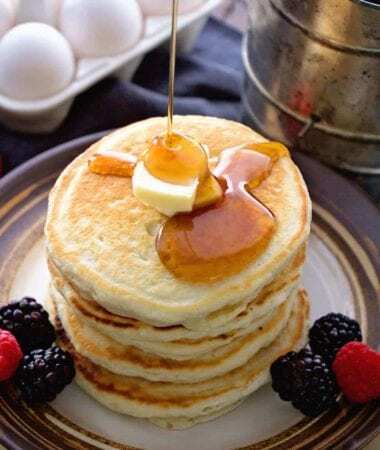 With school starting the hustle, bustle is back and getting out of the door takes precedence over great homemade breakfasts, but no worries I have the perfect easy breakfast that kids and parents can eat on the go! You can even make up the mixture the night before, spread it on some English muffins, broil it a few minutes and you are out the door! Sounds pretty amazing right? In a bowl mix all ingredients together. Cut English muffins in half and spread mixture over them. Place on baking sheet. Broil 3-4 minutes or until cheese if melted and bubbling. Looking for more Quick & Easy Breakfast Recipes? 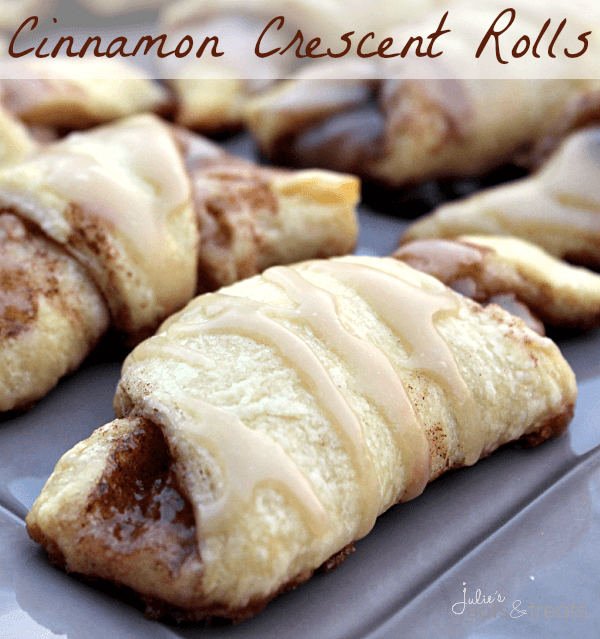 Cinnamon Crescent Rolls ~ Easy treats for breakfast any day of the week! 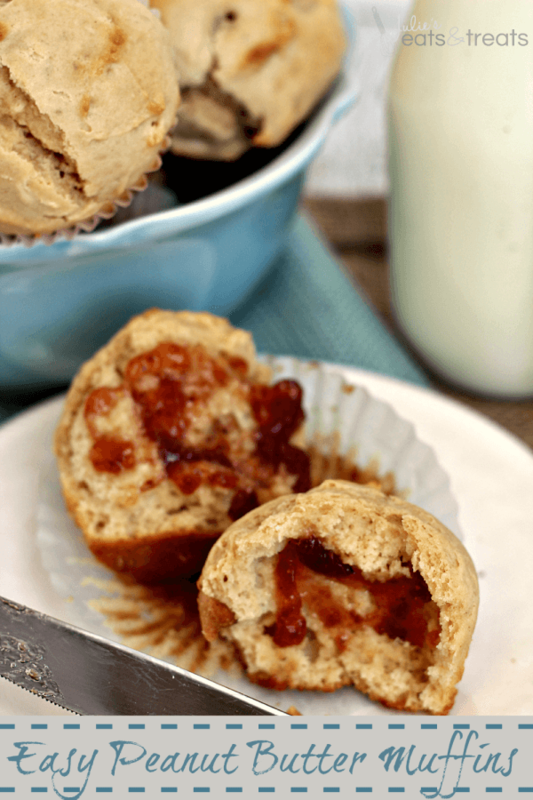 Easy Peanut Butter Muffins ~ Load these Yummy Peanut Butter Muffins with Jam for a Fun Twist on Your Typical Peanut Butter & Jelly Breakfast! 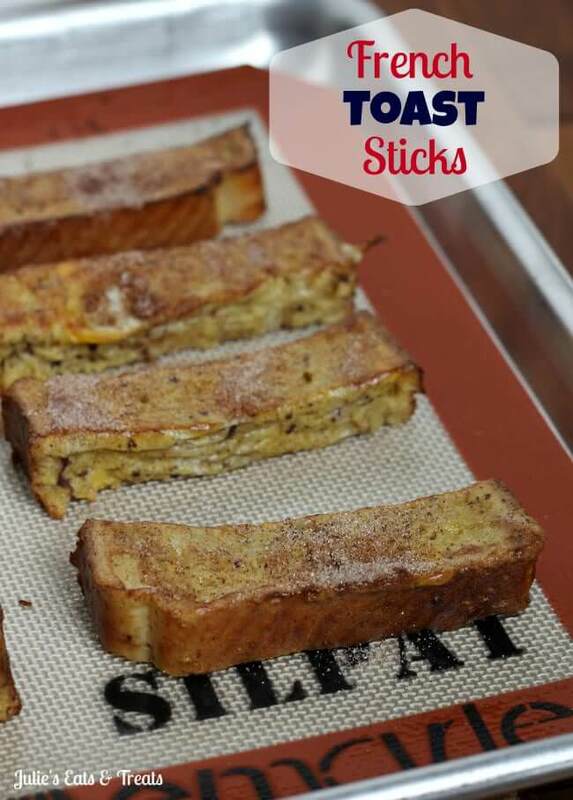 French Toast Sticks ~ Crispy perfection dusted in cinnamon sugar! These look great! I love how quick and easy they are! A great breakfast idea! I could also see tossing this in my daughters’ lunch boxes for a fun brunch theme. Sounds like an excellent idea Jamie! These are so our kind of breakfast, love them!!! What a perfect, yummy & easy breakfast!! Love it. How would I go about freezing these? I love make-ahead breakfasts that we can microwave or throw in the oven while getting ready for work/school.